Flip a coin. If heads the defending pokemon is now paralyzed. Pick a black or white pokemon from your deck. 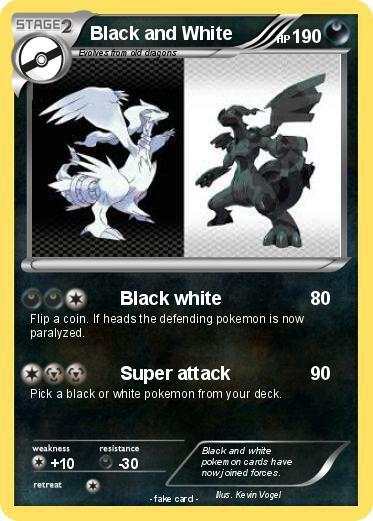 Comments : Black and white pokemon cards have now joined forces.